We told you guys earlier today about smartphone activations jumping 353% from the previous year but many were left wondering, “Just how many of those were Android devices?” Well, I found this report from Localytics who breaks it down by country and OS but if you’re looking for a specific number — our very own Andy Rubin helped further answer this burning question with a tweet he sent out only moments ago. Apparently, there were 3.7 million Android activations just on December 24th and 25th alone. Pretty impressive numbers if you ask me. 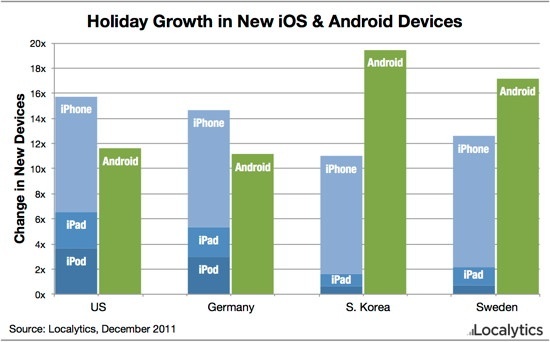 This leaves me wondering — did you guys get a shiny new Android device for Christmas? If so, which one?